Four months ago, we were asked by two musicians to publish the case of a gifted young pianist who was being hospitalised against his will. 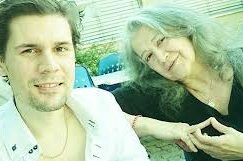 The young man was supported by the warm-hearted Martha Argerich, among others. His parents and his wife appeared to be on opposing sides. Despite appeals from several musicians, the court appointed a guardian to act on the young man’s behalf. In matters of an individual’s health, whether physical or mental, media coverage is invariably harmful. When a court order has been issued, there are further hazards and constraints. For these and other reasons, we decided against reporting the case. This Tuesday (we are told by one of his friends), Christopher Falzone jumped from the tenth floor of a hospital in Geneva. He was 29. I absolutely thought when I saw him in L.A. almost a decade ago that Christopher would be giving international recitals, touring, recording, and playing with some of the best orchestras in the world by now. To be sure, I figured I’d see him again — except with the Los Angeles Philharmonic instead of the Young Musician’s Foundation Orchestra. I’m saddened that I will never get to hear Mr. Falzone play live again, or that he was so despondent that he committed suicide. But I will remember his Rachmaninoff for a very long time. Thank you for doing the honorable thing of not reporting anything further. There are those who were very close to Christopher who deserve to not have to go through more layers of pain reading the tensions that you mention, above. May those who are curious instead listen to the recordings available online and hear the beauty of his playing in memory of a great pianist. Well said by Norman, “Papageno,” and Polly. May Chris rest in peace. He was a very nice man, and an extremely good player and transcriber. His parents’ treatment of him was, to put it mildly, bizarre, and they have much to answer for. Poor dear chap. I am writing now with the permission of Christopher’s family to help provide answers to some of the questions that have been raised. I have known Christopher since his years at Curtis and have observed first-hand Christopher’s financial difficulties and struggles during his marriage and, very sadly, during the unfolding events of the last year. Throughout this time, I can assure you that his parents have done everything possible to help their son. I have also witnessed the change of heart by several close friends of Christopher and Lily concerning their attitudes about Christopher’s parents – a change that resulted from their meeting and speaking with the parents, and subsequent understanding of how Christopher’s parents had been systematically maligned and cut off by Lily. In time, moreover, these former friends observed for themselves the types of abuses and manipulation that Christopher suffered from his wife, who continually acted to control and isolate him. What has not been made known is that Christopher made at least three suicide attempts while in his wife’s care during the past year, before his final jump from the roof of the hospital in Geneva. In response to his first two suicide attempts, his parents made every effort to get the medical and psychiatric help that Christopher so desperately needed. If you visit the webpages for Christopher, you will see that there is mention of two “accidents” that left him bound to a wheel chair. In fact, this refers to the first two suicide attempts Christopher made in Philadelphia (jumping off the Walnut St bridge – Oct 2013 and Feb 2014). It was out of urgent concern over these events that prompted his parents to intercede to get their son the medical and psychiatric help he needed. At first, they were not able to do so, because they were barred by Lily, not only from seeing their son after the 1st attempt, but also from receiving any news about his condition at the UPENN hospital … behavior consistent with Lily’s previous interference that blocked Christopher’s parents from having any contact with their son for more than eight years of their marriage. Circumstances changed, however, after the 2nd jump: with reports from several doctors who were convinced that Christopher was at extreme risk to attempt another suicide, as Lily made it known that she had no intention to follow through with any of their recommended therapies, Christopher’s parents – as their last possible effort to get help for their son – applied for a court-appointed 3rd person guardian to assist in getting the medical and psychiatric therapies recommended by both the UPENN and Hahnemann Hospitals in Philadelphia. The court approved their petition, and in defiance of this Philadelphia court order in May 2014, Christopher’s wife took Christopher out of the country to Switzerland, thereby breaking the law and terminating the supportive therapies that were mandated by the court. During his hospitalization in Philadelphia from Feb to May, Christopher’s parents had the opportunity to reconnect with their son, when they successfully petitioned the court for permission to have regular visits. As hospital staff, family and friends can attest, Christopher never wavered in his love for his parents, just as his parents never wavered in their love for their son. Christopher’s death is heartbreaking on so many levels – not the least of which is the enormous tragedy and loss that his parents are suffering. They received the news of their son’s death by tertiary sources, the day after — not even aware that their son had been hospitalized in Geneva for a previous attempt to end his life. – I write this as a friend of Christopher’s, who knew him from his first days at Curtis, and who visited him during his hospital recoveries in Philadelphia and attended both court hearings. Thank you for posting this clarifying statement. As an outsider knowing nothing of the actual circumstances, I found it odd that he had had so many “accidents” during the time he was estranged from his parents and yet it seemed that some blamed them for his acts of self-violence. I know that some childhood traumas can have lifelong consequences but I also know that sexual love can also be a deadly intoxicant. I feel very sad for the young man. Whomever it was that stood in the way of him getting proper treatment should be tried in court for accessory to manslaughter. Thank you for this clarification. I could imagine this scenario only by reading the gofundme statement and watching the youtube video in the nursery home (not so much the beauty of Chris playing, but the scenes right before/after the performance, which were a clear example of what kind of person was around him). A pianist like Christopher would not write in that primordial form, not to mention write sentences about the gratitude to his wife for his musical understanding… such a shame! A tragedy… Yes, probably he needed medical support, but someone is responsible for what happened to him. A young pianist needed care not carEEr at that point of his life. My condolences to his parents. I cannot imagine their pain. I agree that this author made a wise and respectful choice not to report on the “story” he was asked to publish four months ago – particularly where all sides of that story have not been examined and all facts not confirmed. Until someone fully, objectively, and accurately examines and confirms both sides of this story, all would be wise to withhold judgment and assumptions. Remember that, often, the one telling the tale is not telling the truth. Please do as Polly suggested — listen to Christopher’s music and rejoice in the beauty he created. I don’t understand why someone’s private tragedy should be fully exposed to the world, only because he/she was an artist. Leslie Howard: Shame on you — Chris’s parent’s tried *everything possible* to reach Chris and get him help. They loved him deeply. The situation was tragic, and my heart has been — and continues to be — with his family. Lesie Howard, I have no idea where you got this information but I have known Chris and his parents for almost 20 years and Chris won his two medals at Fischoff Chamber Music Competition as part of our Midwest Young Artists Chamber Music Program. The fact is his parents were and have remained totally supportive of Chris, even after his illness resulted in him marrying someone who led him astray in both his career and in his life choices, someone who was old enough to be his mother! No, you have it wrong. His parents are devastated any your comment is not only not based in reality but hurtful to them. A fantastic virtuoso. This is a profoundly tragic end to a brilliant young person and a superb musician. Did not something similar happen to Yewgeny Moguylevski, the young Russian pianist, in the sixties or seventies? I find it especially difficult to take when someone so young and talented cannot overcome their internal or external struggles and succumbs to death by suicide or drug/drink related death. Only the people close to Christopher knows the real story but if there is someone(s) who pushed him towards an untimely end or stood by and did nothing whilst he careened into his death spiral, may they reap what they sow ten-fold. Still, Christopher left the world his music; this is worth more than what most people achieve in a full lifetime. I hope he is at peace now. What kind of parent would not go to Switzerland and see Christopher, and make sure if he was getting good treatment there, in the first clinic? We do not believe that Lily is entirely to blame for this situation. Christopher chose to be with her, no matter what. They were two strange souls, perhaps, who found each other. And they did love each other, in whatever fashion. The statement by his parents via a friend is misleading, and I’m sure Leslie Howard has a very reasonable grasp of the situation. There is no reason to assume his parents are victims of this situation. Why Christopher was suicidal was hard to tell. He could not say. He was not a normal person. He did not have a good relationship with his father, that was very clearly said to us by Christopher. His previous attempts at suicide happened as something coming over him, but were half-hearted, in that the Walnut Street bridge is not particularly high. We were told that his and Lily’s mutual concern was that the intrusion of a guardian meant interference with his artistic career, that he was being controlled by people who did not care if he ever gave another concert. That is a reasonable fear. And the clinic in Switzerland, we were told, was cooperating with the guardian, with the courts, which made it not a safe sanctuary for him, as it should have been. It seemed apparent that this situation was only going to end in death for someone. It is sad that it was Christopher, but he was literally a broken man. He never really had a chance. Last year one of my friend (a wonderful pianist too) attempted suicide. I was the only person he was accepting to communicate with- despite I didn’t know him so well at that point- just because I said “you are right” to whatever he was telling me, while other people were trying to convince him to see a doctor. He suspected someone was trying to murder him (which was absolutely not true!). The truth is that, while I was telling “yes, you are right” to him trying to calm him down, I was communicating with his family and friends and I was talking to a psychologist to understand how to handle that situation and how to avoid mistakes. He has bipolar disorder. He attempted suicide and was brought to a clinic. Now he has resumed his career. Unfortunately it is difficult for “normal minds” to understand what is normal, what is the truth. He also blamed his own family for trying to help him, he hated them. With the difference that nobody believed him and nobody reinforced in him the idea that his family was wrong and that he was just “fine”. Thank you for this insight, Anto. I think your friend’s situation was similar to Christopher’s in many ways. It is one thing for someone to be vulnerable and in need of help, while at the same time, it can be impossible to get them to ACCEPT the help they need. Die beste Hilfe für Christopher Falzone wäre gewesen, wenn ihm ein Mäzen generös unter die Arme gegriffen hätte. Diese Hilfe hätte er sicher angenommen. Dass er die ihm von der Zwangspsychiatrie aufgezwungen chemischen Substanzen abgelehnt hat, war sehr weise von ihm. Leider hat er sich gegen ihren Machtapparat nicht durchsetzen können. Man kann übrigens in den Fachinformationen nachlesen, dass diese Substanzen das Selbstmordrisiko erhöhen. Ich hatte mit Christopher Falzone mehrere telefonische Unterhaltungen, während er in der Schweiz war. Er hat mich auch schriftlich ausführlich über seine Situation orientiert. Kurz vor seinem Sprung hat mir angerufen, ist jedoch lediglich auf meinen Telefonbeantworter geraten. Darüber habe ich ein Tondokument. Ich habe ihm sofort zurückgerufen, es kam jedoch ebenfalls nur sein Beantworter. 1. Das Zerwürfnis mit den Eltern. 2. Dass ihm in Amerika ein Vormund aufgezwungen worden ist. 3. Dass er in Amerika wiederholt in psychiatrische Institutionen eingeliefert und dort gezwungen worden war, Psychopharmaka einzunehmen. 4. Dass er in die psych. Anstalt Schlosstal Winterthur zwangseingewiesen worden ist. 5. Dass ihm das Schlosstal noch nicht einmal Urlaub gewährt hat, um an einem festgesetzten Konzertauftritt im Tessin teilzunehmen. 6. Dass ihn das Schlosstal nicht entlassen wollte. 7. Dass ihm nach seiner Entlassung – ohne ihm die geringste Beschwerdemöglichkeit einzuräumen – sein Pass entzogen und dieser vom Schlosstal an die amerikanische Botschaft in Bern geschickt worden ist. 8. Dass die Botschaft sich geweigert hat, ihm den Pass vorbehaltlos auszuhändigen. Mangels eines gültigen Reisedokuments konnte er nicht, wie er sehnlichst gewünscht hat, seine Konzerttätigkeit fortsetzen. 9. Dass er – wie der Tonbandaufnahme entnommen werden kann – im Spital in Genf genötigt worden ist, Psychopharmaka einzunehmen. Zusätzlich ist auf die betrübliche Rolle hinzuweisen, welche sein Vater gespielt hat. Als Christopher Falzone im Schlosstal die Entlassung verlangt hat, fand eine Gerichtsverhandlung statt. Er war durch keinen Anwalt vertreten. An die Verhandlung wurde der Vater via Videokonferenz zugeschaltet. Er votierte dafür, dass sein Sohn weiterhin in der Anstalt zu verbleiben habe und dass seine Rückschaffung nach Amerika in die Wege geleitet werden müsse. Aus Protest verliess Christopher Falzone die Verhandlung. Seine Entlassungsklage wurde vom Gericht abgeschmettert. Das Urteil liegt mir vor. Can someone translate these comments from Deutsch to English? As would be expected, we are now hearing from various people around the woman who identifies herself as Christopher’s wife. I am certainly not going to enter into debate with them or about Christopher and his family. I ask only that people take very seriously what serious mental illness is. Is all professional treatment perfect? Is every doctor or hospital without flaw? Of course not. But *serious mental illness* — from depression to schizophrenia and everything in between and beyond — is treated medically and psychologically and that can include taking medication that a patient initially does not want to take, side effects that can indeed be troubling, and involuntary hospitalizations. It is *not* a different situation for artists. They are not “cured” only by music — though music and self-identity certainly play a role in psychological and medical wholeness. And unsupervised leaves from a hospital to attend a concert, a meeting, or a birthday party are not normal parts of treatment. With an ocean between them and at least three different countries with very different legal systems and traditions it’s certainly not in the power of any single attorney, lawyer, solicitor, or barrister to say why the family members each acted as they did, what they should or could have done, and certainly quite heinous to joke that it was only logical for a mentally ill person to jump “with parents/friends/a spouse like that.” Perhaps it is time, for the same legitimate reasons that he did not initially report accusations in this story, for Mr Lebrecht to wind down this discussion in this venue? Thank you. Indem Sie von einer *serious mental illness*ausgehen, beleidigen Sie den Toten! Ich habe mit ihm gesprochen. Er war nicht geisteskrank! Die realen und konkreten Gründe, welche ihm zugesetzt haben, habe ich aufgelistet. Die Zwangspsychiatrie hat mit Fürsorge nichts zu tun. Sie ist ein Herrschaftsinstrument. Andrew, I see no harm if those involved with him bring truths to light – so long as it is done with respect and discretion. Understood, Norman. And now that Mr Schönenberger has asked others to examine him, it should be made clear to those who do not read German or who are unfamiliar with Mr Schönenberger or the Scientology cult, that Mr Schönenberger is a prominent and very public Swiss-based European battler against ALL psychiatry which he and his colleagues regard as an illegitimate and dangerous pseudo-science and seek to ban its practice. No need to take my word for it. He has posted his own article above. And he did not know Christopher Falzone even if he might have had a telephone conversation with him. Statt meine Fakten zu widerlegen versucht Andrew Patner, mich ehrenrührig mit der Scientology gleichzusetzen. Was meine Kritik der Zwangspsychiatrie anbelangt, kann ich mich auf meine 40-jährigen gerüttelten Erfahrungen im Umgang mit dieser neuen Geissel der Menschheit stützen. Selbstverständlich hat er das Recht, sich als überzeugter Anhänger der Zwangspsychiatrie zu outen. Meinung gegen Meinung: Das Urteil wird wie üblich die Geschichte fällen. Auf seine allfälligen weiteren Ausfälle gegen mich werde ich nicht mehr reagieren. Das wäre unter meiner Würde. Unfortunately, this has become an issue of judgment and personal interpretations of the tragedy. Some people are eager to participate in the blame game for various reasons. You said that Christopher’s “parents and his wife appeared to be on opposite sides”. That is very true. Yet you did not reveal what Christopher wanted, namely, which side he took. This is not fair to Christopher. We all should read carefully what his Swiss attorney is saying. This is evidence as opposed to various interpretations given by others. Ma’am and others, The gentleman was not Christopher Falzone’s attorney. If the barrister is indeed involved in Scientology then nothing he says can be taken seriously. I have friend who were involved in Scientology for a time it there is no question that it is a toxic and violent cult. My friends were bled dry of their money and ability to think for themselves. They were subjected to military-style brainwashing when they finally woke up and get out, their lives were threatened and all of their Scientology friends shunned them. Was Christopher or his wife involved in this cult? If so, it explains a lot. I don’t see any “Beleidigung der Toten” in discussing a very common issue within artists- Bipolar Disorder and mental disorders in general are unfortunately often paired with creative minds- and how to approach it. If Chris was able to talk so much on the “Anrufbeantworter”, this was already a sign of an emergency situation. Encouraging him to see his treatment as a crime was not a good idea and a crime itself (I am reading the articles against medical treatments that the person who manages Chris’ facebook page is posting). Btw. you may have a brilliant mind and be “Geistigkrank” at the same time, have some lucidity and being obsessive and schizophrenic. Far too many assumptions are being made. Few people knew the complete picture. It was a very complicated situation, and as someone pointed out, Christopher made his own choices, no matter what, and he was an adult, whatever his impairments. He knew that suicide would cause bad feelings, yet was inexorably drawn to it. No one is innocent, and no one is guilty. It is time to stop judging. There is a kind of abuse which is traditionally found where a husband tries to control every little thing in a wife’s life (particularly true in certain “exotic” cultures, but also found in democracies). Christopher was subject to a more unusual kind of abuse [redacted: abuse]. I only met his parents once, in a Philadelphia hospital, and I am not able to judge anything about them. [redacted A heart-felt thank you to everyone who made videos of his playing and put them on YouTube! I have them as well as my memories of his magnificent, incredibly gifted playing. I grieve at his being gone. Rest in Peace, Christopher! If his life with his wife was so intolerable, why didn’t he divorce her? It’s too simple and narrow to place all blame on her. Yes, she was incompetent in many ways, and dominating, but, she was also watchful in trying to keep him from trying to keep him from jumping again, or so she said. They are/were both damaged people. His attempts were not rational choices to get away from her. To do that, he only had to walk out. He apparently was incapable of functioning on his own, to take care of himself. That was a more basic issue. It was obvious he loved her. Not being able to cope was a more fundamental issue, and has much more to do with what was already in place in his psyche. He did not even choose his own repertoire. That says a lot. He followed willingly, too willingly. I saw a similar situation to this with another couple that ended in both their deaths, but it had to do with who they were. You just cannot pick one detail or aspect and blame it all on that. After all, it was Lily who enlisted the help and support of Marthe Argerich, or they could not have left Philadelphia, where they were both miserable, with nothing at all to do. You could blame it all on the fact that there are too few opportunities in the USA now for gifted musicians, and the desperate outlook is enough to drive anyone over the brink. They both enjoyed having a comfortable lifestyle, and in that, they were spoiled by the degree of success he achieved, the fact that musicians are paid well in Europe, and deplorably in the USA. You can also blame the fact that Christopher got no more study or coaching after a few years at Curtis, and so he could play so well, but I felt lacked real sophistication and artistry in style and taste. What did lay ahead for him? Anything of substance? He couldn’t teach. Enough speculation. A gifted young man has died. Let him rest in peace, the pair of you. Maybe he wasn’t. Yet he was somehow involved. He knows what Christopher was saying that morning. This may be important as well as some other evidence left in the hospital. We cannot completely ignore that. Würde! Perhaps Counselor Schönenberger should remember the popular song lyrics immortalized by the late Whitney Houston (and a good thing that Ms Houston did not get psychiatric help — she might have died! Oh, wait. She died. ): “No matter what they take from me/They can’t take away my DIG NI TY.” He needn’t worry about me. I have set the latest message from Christopher Falzone the same morning before his death online, so that everyone can make himself acquainted with all that actualy has disturbed him. Wow. An “attorney” who would post online for a world of strangers a take recording of someone who called to seek his confidential counsel. This man will stop at nothing. Perhaps someone in Switzerland reading this can report this posting to the proper federal, cantonal, and professional bar authorities. Certainly anyone should be very careful about sending this individual a personal e-mail or leaving him a voice message. The posting of a voice recording is truly bad. And it is even bad from Barrister At Law’s point of view: everything Christopher says about the hospital restricting him is The Doing Of His Wife. Can’t you see that, Barrister????? They are listening to her, NOT being evil by themselves. The result was very evil. But your bete noir, psychiatry, is not the main sinner. „Halten kann sich dieses unselige System, indem die Zwangspsychiatrie seit ihrem Bestehen unter grösstmöglicher Geheimhaltung operiert. Ihre Bollwerke sind für die Öffentlichkeit unzugänglich, die Gerichtsverhandlungen sind geheim. Der Staat gibt vor, er müsse die Privatsphäre der Versenkten schützen. Es ist daher unabdingbare Pflicht, die Verbrechen des Staates ans Tageslicht zu zerren. Dass dies seinen Komplizen missfällt, kann nur einen Feigling daran hindern aufzuklären. The gentleman says that he is a law unto himself. So sei es denn! Ich muss leider noch einmal diesen Herrn in die Schranken weisen, welcher, um davon abzulenken, dass Christopher Falzone in den Tod getrieben worden ist, versucht, ihn in die Ecke der Geisteskranken zu stellen und sich gar auch noch erdreistet, öffentlich dazu aufzurufen, mich bei der zuständigen Aufsichtsbehörde zu diskreditieren (was mir – nebenbei bemerkt – vollkommen egal wäre). Er disqualifiziert sich in jeder Hinsicht..
Nach schweiz. Anwaltsrecht werden demjenigen, welcher mutwillig eine Anzeige erstattet, die Kosten des Verfahrens aufgebürdet. Damit also niemand sich dazu verleiten lässt, seinem primitiven Aufruf zu folgen, sei darauf hingewiesen, dass ich von der in die Rechte ihres Ehemanns getretenen Witwe zur Veröffentlichung seiner Nachricht autorisiert worden bin. This discussion has become somewhat dominated by comments from a certain Edmund Schoenenberger. For those of us who can read German, might I recommend Googling this person’s name and that of his organisation, Psychex. The results are instructive and may help to set his comments in context. If one highlights any text in any language and open Google Translator, it automatically translates into your language of choice. I have read all of the arguments here and each has some merit. I do think psychiatry and even locked facilities can be very useful for sufferer of mental illness and for the protection of society. I also know that mind-altering drugs are being handed out like candy even to very young people and the side-effects can be fatal. I am also aware that unlike prison, locked mental health facilities have no fixed release date which is scary on so many levels. This is a sad and complex tale that ended in tragedy for all parties concerned. Inquiries at the highest levels in multiple countries should occur. RIP Christopher, the music you left will continue to speak for the part of you untouched by suffering.